Billabong Junior Series Presented By All Aboard Travel event # 1 done and dusted. You are here: Home / Business / MyPR / Billabong Junior Series Presented By All Aboard Travel event # 1 done and dusted. Competitive surfing has returned to Port Elizabeth, and it came back with a bang. 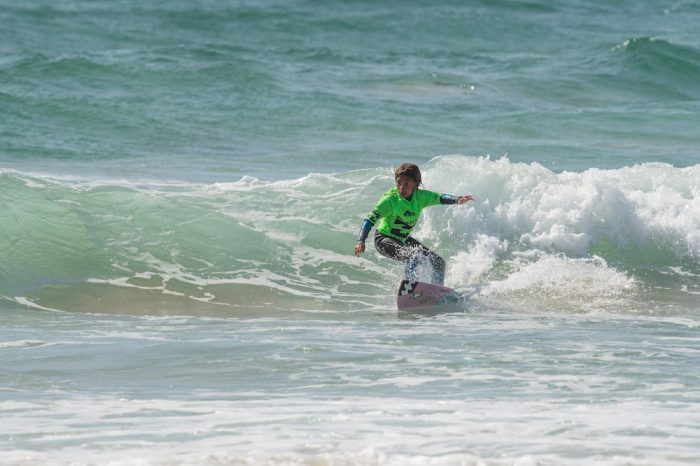 The only way to describe the Billabong Junior Series event # 1 was a resounding success. From the excellent waves that were had by all competitors on the opening day at Pollock beach, to the decision to go mobile and relocate to Lochness on the wild side, it was the sort of event that people will remember. On top of that, Billabong always put on a good event, with surfers well looked after and kept warm and fed, so the vibe for the event was pretty amazing. Being the first event of a series there is always much excitement and a little bit of desperation as surfers want to set their tones for the year so to speak, to come across as fierce and strong and determined for the year. The standout girl of the event was without a doubt Kayla Nogueira from Durban who took top honours in two divisions and proved her self as a force to be reckoned with going forward. Kayla is a product of the High Performance Surfing Academy in Durban and has been hard at work for the last six months to up her game and get to a place where she is comfortable in competition and knows the way to get those two high scoring waves and maximize her chances of victory. Winning both the U14 Girls and U16 Girls is no small feat, and big congratulations must go to her. In the boys division there were so many surfers who were on fire and at the end of the day it was young Max Elkington who took top honours in the competitive U16 Boys division, catching one of the best waves of the final day with just a few minutes to go in the final. he beat fellow Capetonian surfer Eli Buekes into second place while another top cape town surfer Luke Slijpen won the VonZipper air show for a huge forehand waft. 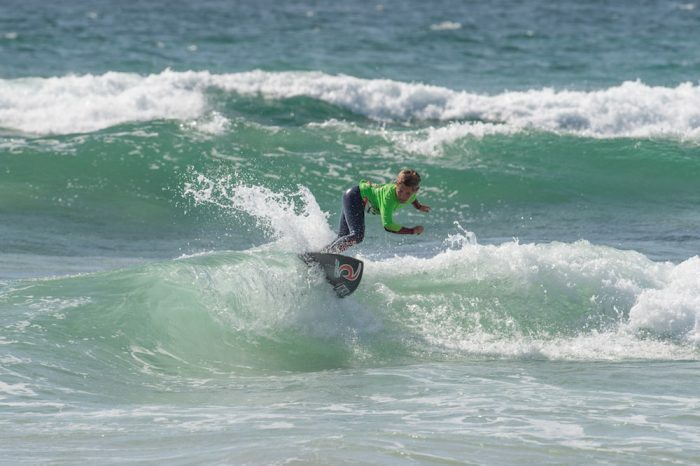 Nelson Mandela Bay surfer Dillen Hendricks as the highest placed local surfer in the U16 Boys final, where he placed fourth and another local surfer CJ Pothumus places third in the U12 Boys.